Back to the farm again to restore life to the village! At long last, there's another brand new Harvest Moon on the horizon! Maybe I shouldn't say "at long last" since we did get Story of Seasons, but it feels like a while since a full-length Harvest Moon game has hit the scene. 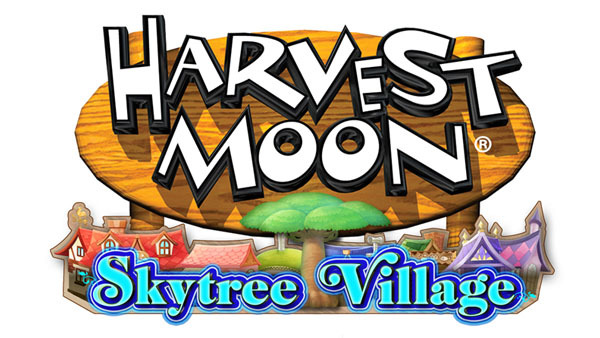 This time around it's called Harvest Moon: Skytree Village, and it's scheduled to be shown off at E3. Taking place in the "Oasis of the Harvest Goddess," Harvest Moon: Skytree Village follows a land that was once verdant and supportive of life but once became dry and lifeless. As the protagonist (male or female) it'll be your job to revive seven special Skytrees and restore power to the Harvest Goddess. There's a brand new art style, new character models, new and familiar characters, and a new animal called the Poitou donkey. You can play as a male or female, enjoy new fishing mechanics, and a full town with plenty of residents to talk to. Unfortunately, there aren't any detals on when we can expect the game. If you're headed to E3 you should be able to try it out, though!